With the last of my visitors leaving today, tomorrow (for me) marks the end of summer. Its been a busy old time with visitors coming and going. A standard three bed house with 10 people is a bit of a squeeze at the best of time, but hey, its family and for the first time in 8 years I’ve managed to retain a bed for the best part of the summer..rather than having to hobo it out like in previous years. I must admit, I am still slightly in denial about summer coming to an end and although the weather people have warned of frost next week…I’m still waiting for the September Sun to kick in. My best friend promised we would make it through my list of summer activities and in the run up, cast everything off to ‘we’ll do it during the summer’..however 3 months on…my list is just as long and the only thing I managed to knock off was my visit to Borough Market and strawberry picking..despite the fact that by the time we got round to doing it, there were about 3 strawberries left on each bush!! So what did I learn this summer?? 1) I have a new found love for Korean food, which seems to be turning into a slight obsession. 2) London Roof tops are great for summer time drinking – I particularly like Aqua (although the cocktails aren’t great given the price) and the Rooftop @ Courthouse by Double Tree. 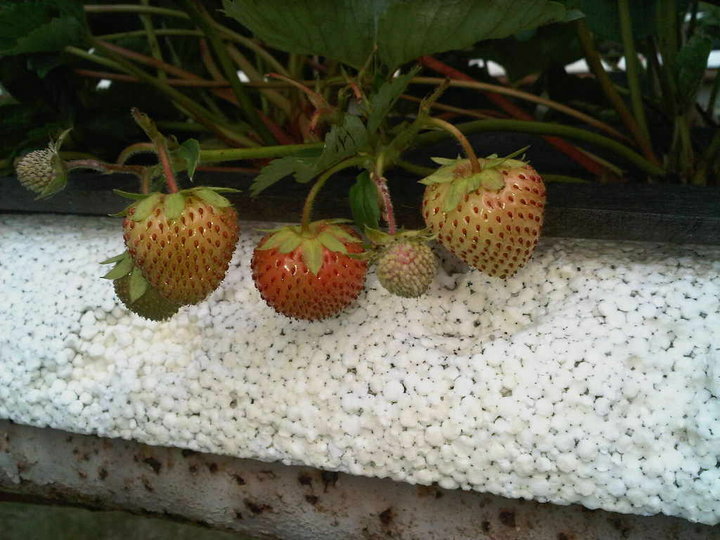 4) If you want to go strawberry picking…for the best selection..go in early July or else you end up with the green ones! 5) To get a tan…wear a low factor sun screen…especially if you take forever to tan like me and definitely lay off the sun block!! 6) Always value the friends that don’t have a motive (re-evaluate this on a regular basis). 7) The Indian Chai in Dishoom, Covent Garden is as close to Bombay street chai as you’ll get in London. 8 ) Christopher Columbus had a house in Las Palmas. 9) Gnocchi is officially the best Italian comfort food….I just need to figure out how to make it! 10) Finally…I’ve decided on a career…and after a recent coffee date decided if I want to succeed…I gotta take the bull by the horns and do something about it…So have booked myself onto a one day workshop and then will take it from there! It’s a big realisation…and I will keep you updated with how it goes!